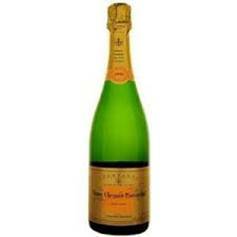 Andrew at Wine Watch has curated another great dinner featuring the champagnes of Veuve Clicquot. The dinner is being held at one of the best restaurants in Ft. Lauderdale, Steak 954. This is a good opportunity to enjoy some nice pours in the company of the chef du cave. Per Andrew, this is a "once in a lifetime" opportunity to taste the Champagnes of this famous house with one of the region's top minds behind these great wines, the chef du cave Dominique Demarville. The chef du cave is kind of like being the pope, you have the job for life. This is one of the most important jobs in the wine business and it takes a lifetime of experience to make it to this position. Demarville became Veuve Clicquot’s 10th cellar master in 2009, where he continues the 240-year-old Champagne house’s legacy. Dominique earned a degree in oenology and viticulture from Lycée Viticole de la Champagne in Avize, and later, a supplementary oenology degree from the University of Burgundy, Dijon. Join us as we break bread with Dominique at one of Fort Lauderdale's hottest restaurants on Fort Lauderdale Beach. The fee for this event is $125 + Tax + Gratuity, for reservations call 954-523-9463. The wine has a luminous colour with radiant rose accents. 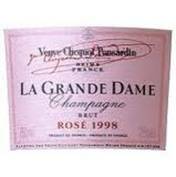 The nose is elegant and generous, with initial aromas of fresh red fruit (raspberry, wild strawberry, cherry and blackberry) leading to dried fruits and biscuit notes (almonds, apricots and brioche). On the palate, the fresh first impression is followed by a fruity harmonious sensation. 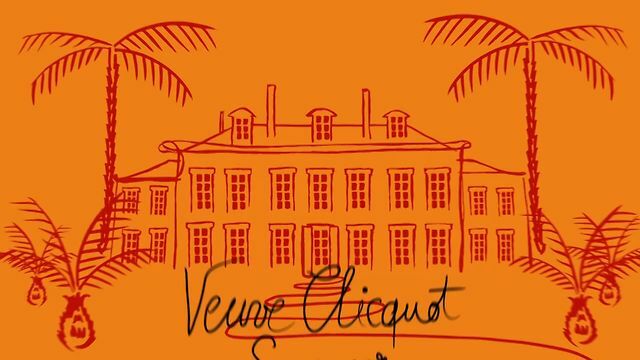 In line with the style of the Veuve Clicquot House, the wine is perfectly balanced and combines elegance and personality. 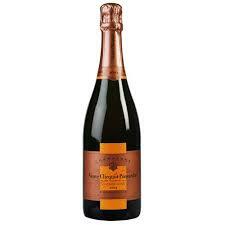 The wine works its magic - this delectable champagne is beautifully ample and full of charm. winemaker's notes: In the mouth the wine is silky and generous. The expectations promised by the nose are met and even exceeded as the complexity of this wine is superlative: simultaneously evoking fruity and floral, mineral and spicy notes, menthol and toast…This wine is quite simply dazzling with its wealth of aromas, and a deliciously long and powerful finish. 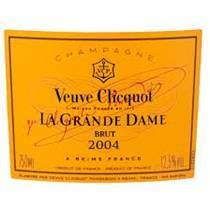 winemaker's notes: Veuve Clicquot's Prestige Cuvée, La Grande Dame, is a very great wine which pays homage to a very "grande dame de la Champagne," Madame Clicquot. The incomparable finesse of this cuvée results from a blend of eight of the House's traditional Grands Crus. winemaker's notes: The Vintage Rose 2004 offers a deep pink color with the highlights of copper and delicate, light effervescence. The nose, extremely elegant, at first reveals flavors of ripe red fruits that burst on the tongue, before gradually giving way to violets, lilacs and light "pastry" notes. A discreet touch of ground coffee can also be distinguished. The attack is forthright and energetic. Winemaker Notes - The first nose is already very expressive, with strawberry, pink grapefruit, and quince notes with pepper and cinnamon at the forefront against a refined mineral background. More gourmet aromas griotte cherry and blackberry jam appear. The price of this event is $125+ Tax + Gratuity, for reservations call 954-523-9463.